Written by Ivan on 17/04/2019 . 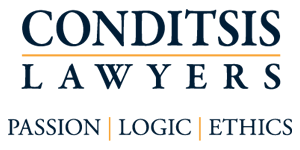 Conditsis Lawyers is one of the Central Coasts’ premier firms. We are presently seeking to appoint a junior lawyer to assist senior lawyers and to conduct non-complex matters autonomously. The role will have a particular focus on Family Law, so the applicant will need to have an enthusiastic interest in that area of law. 6. Drafting affidavits and court documents [under supervision]. This is a rare opportunity offering mentoring and development, as well as great long-term prospects for the right candidate. If you think that you fit the bill, we would love to hear from you.